Taking a season off from the Portland area Shakespeare Festival, the Franklin High School Theater Arts Department's fall presentation is the play, "Almost, Maine". 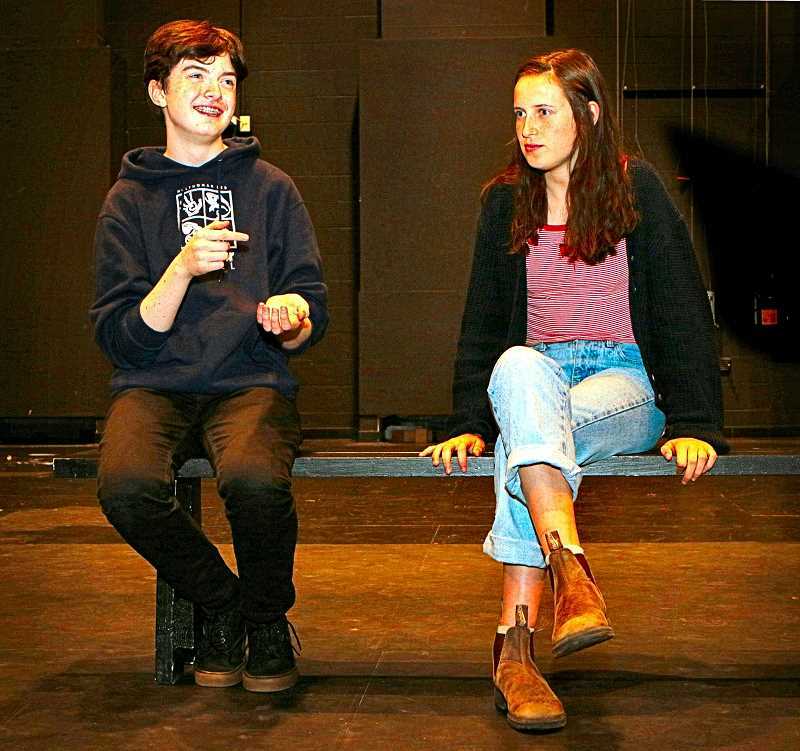 "This play, by John Cariani, comprises nine short plays that explore love and loss in a remote mythical almost-town called Almost, Maine," explained Franklin High Theater Instructor Joshua Forsyth, who also directs the play. "These are all stories about love, relationships, and how they play out over time," Forsythe continued. "For some of the couples, their love is just beginning, others are in the middle of being in love, and for some, love is at its end; the audience sees how love differently affects a relationship between the two people." In professional small theater companies, a handful of actors play all of the 19 roles in this play; but in the FHS production, Forsythe observed, each role is actually played by a different student actor. In addition to the actors, about fifty student theater technologists are involved in the various aspects of the production – from lighting and sound, to costuming and makeup, publicity, and stage management. This production will appear on the main stage of Franklin High's beautiful new theater. The show runs November 2 and 3 at 7 p.m.; on November 4 there's a 2 p.m. matinee; and the play concludes its run on the evenings of November 9 and 10 at 7 p.m. Tickets are $10 for adults, $5 for students and seniors – and will be available at the door.